I was really surprised to learn that there was an African wildlife preserve called Safari West located only 75 miles north of San Francisco. Safari West is a 400-acre wildlife preserve containing over 100 species and over 700 individual animals, including giraffes, cheetahs, zebras, flamingoes, rhinos, cape buffalo, lemurs, and wildebeest. 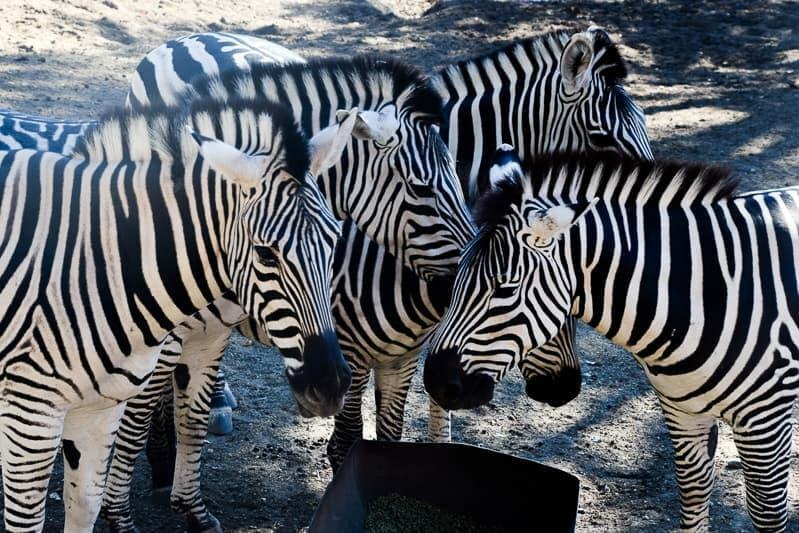 Opened in 1993 by Peter and Nancy Lang, Safari West strives to promote wildlife advocacy and conservation through breeding, education, research and public interaction. 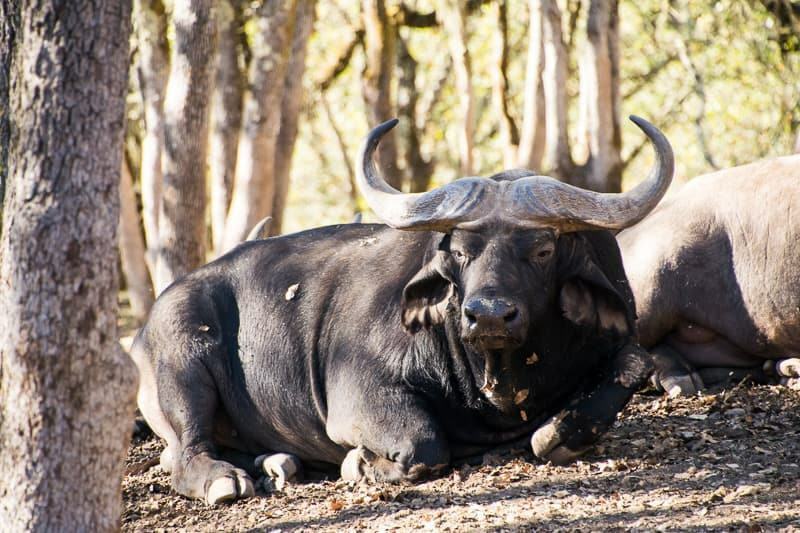 The preserve shares similar environmental features to an African savanna and guests can take open-air guided wildlife safari drives to see many of the animals roaming the expansive property. 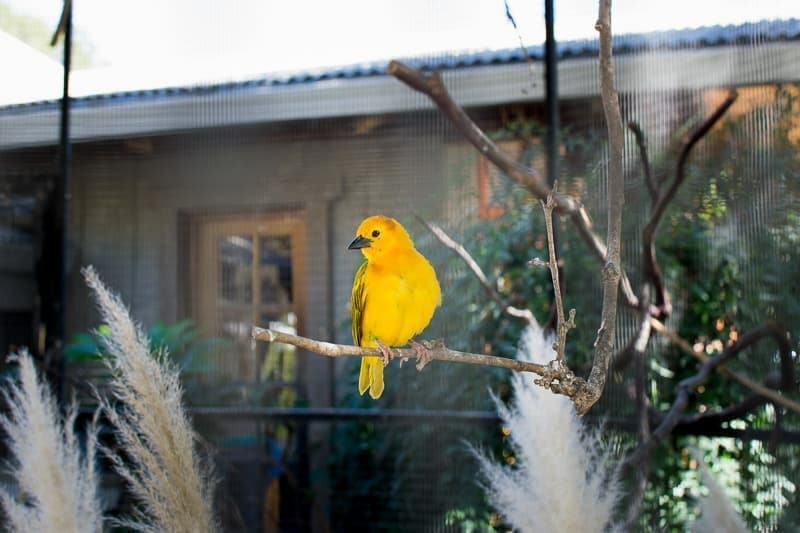 The smaller animals are kept in enclosures that are reachable by a walkway and you can also visit the open-air aviary containing all sorts of exotic birds. 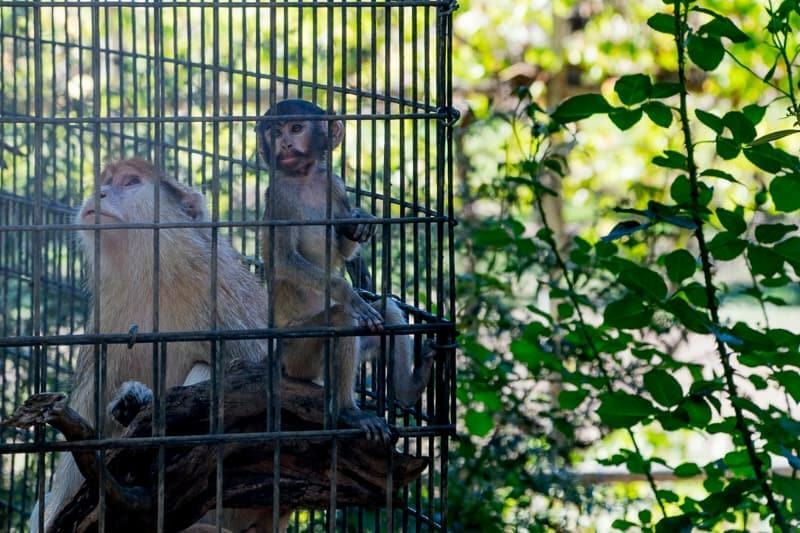 Guests can even stay overnight here and see and hear many of the animals in the evening once the daytime crowds leave. After hearing about Safari West, I had to visit and so I took Ethan here as a surprise birthday trip back in October. We had just recently returned from East Africa and wanted to see how it compared to our time in Tanzania and Kenya over the summer. We’ll share all the details you need to plan your own trip to Safari West as well as share our experience doing the safari drive and staying overnight! Safari West is located in Santa Rosa, CA within Sonoma County about 75 miles north of San Francisco. The closest major airports are San Francisco International Airport (86 miles, approximately 1 hour and 35 minute drive) and Oakland International Airport (80 miles, approximately 1 hours, 30 minute drive). The best way to reach Safari West is by car or taxi. The official address is 3115 Porter Creek Road, Santa Rosa, CA 95404. However, you should note that the actual guest entrance is on Franz Valley Road. You should be able to follow signs to the entrance once you are close. GPS systems can get confused here so ignore your GPS if it wants you to make a turn onto Loch Haven Road. Safari Tour Options & Prices? The regular safari group tours are about 3 hours in length and include both a walking portion (30 to 45 minutes) and an open-air drive portion (up to 2.5 hours long). They range in price depending on the time of year but Adult tickets (age 13 to 58) range from $72.00 to $98.00, Seniors (age 59+) from $67.00 to $88.00, and children (3-12 years of age) are $36.00. Groups of 20 persons or more can receive a discounted group rate and children under 3 years of age cannot be taken on this tour. 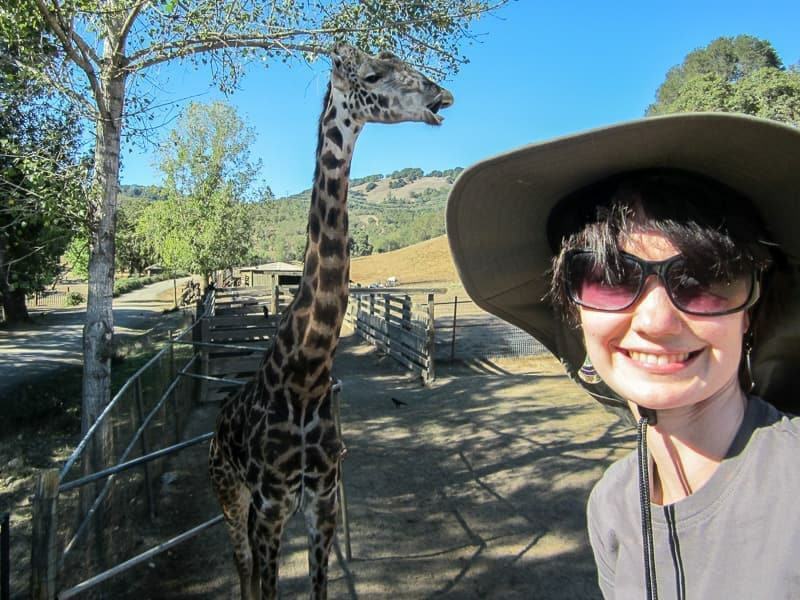 In addition to the regular group safari tours, Safari West also offers private and custom safari tours, “Talk Nerdy to Me” tours that are more scientific and focused on biology and evolution, and private animal encounters. Speciality custom private tours can also include beer or wine tasting during the tour. 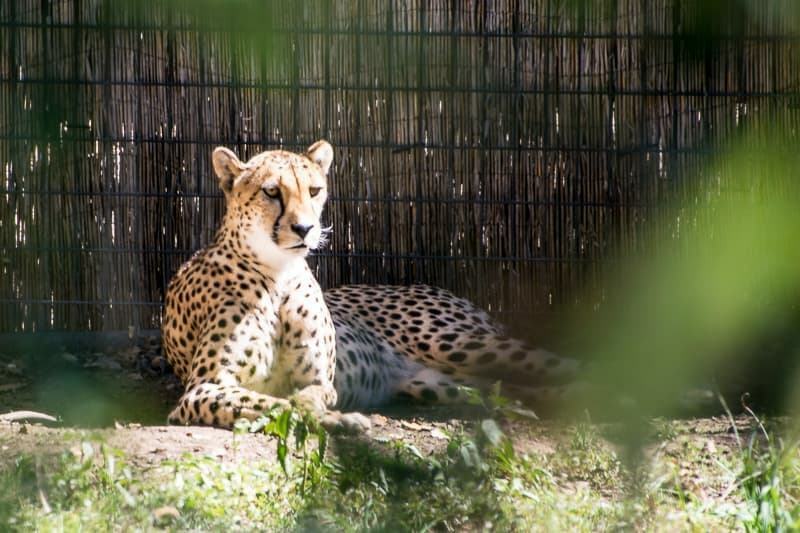 The private animal encounters include things like feeding the animals, having a private animal presentation of smaller animals, getting to visit the cheetah barn, playing zookeeper for a day, and taking photos with an animal. Reservations are necessary to visit Safari West and reservations for tours, lodging, and other options can be made by phone (1-800-616-2695) or online through the Safari West website. It should also be noted that Safari West has full accreditation in the American Zoo and Aquarium Association. Food options at Safari West? There are a couple of food options at Safari West so you won’t go hungry or thirsty during your visit. Delilah’s Snack Shop is open during the summer and on select winter days in case you need a quick pick-me-up of pre-made sandwiches, granola bars, muffins, chips, ice cream, and other snacks, as well as a variety of beverage options, including soft drinks, coffee, wine, and beer. For those wanting a full hot meal, Safari West’s Savannah Café provides ranch style BBQ lunches and dinners. 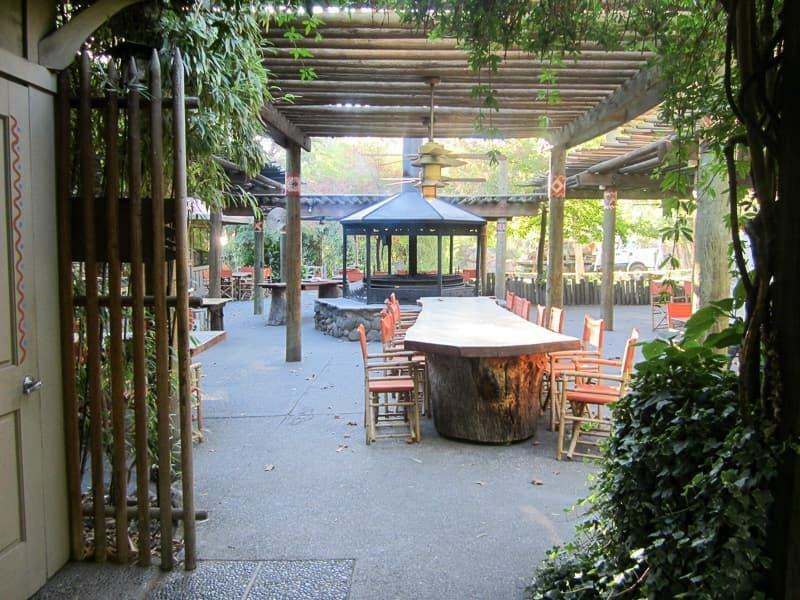 Guests can dine indoors in the café area or Elephant Room where you’ll dine surrounded by African murals and artifacts, or outdoors on tables or benches near the fire pit. There is a small bar area selling wine, beer, and port. 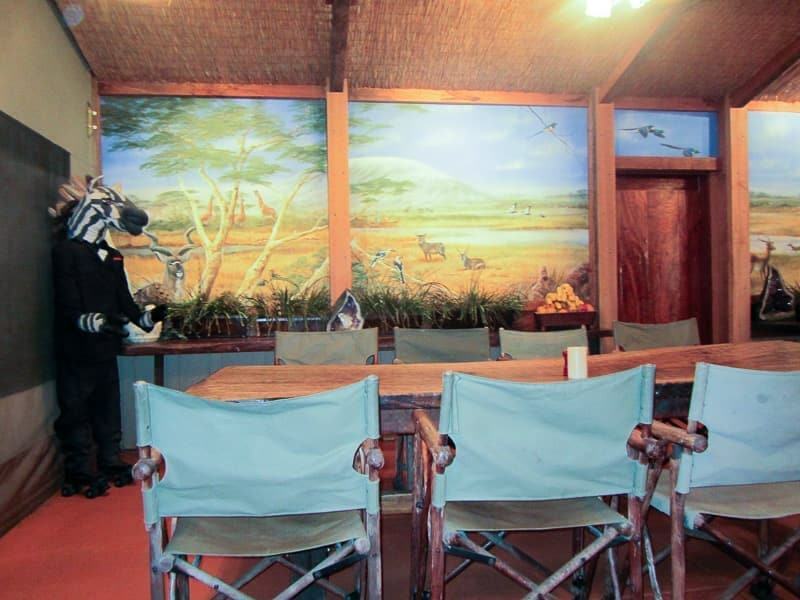 If you spend the night at Safari West, a complimentary breakfast is served at the Savannah Café. NOTE: Meals are by reservation only at the Savannah Café so please be sure to reserve prior to your visit if you would like to eat lunch or dinner here during your visit. Lodging Options at Safari West? 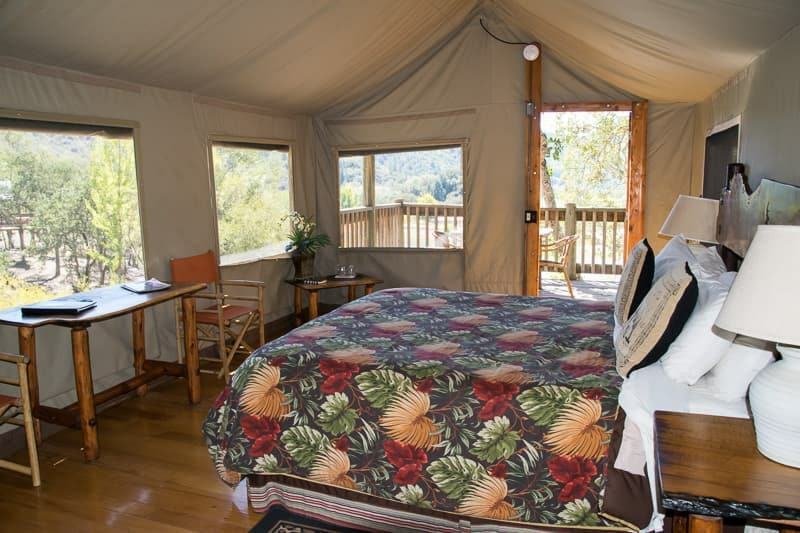 You can obviously spend the night in nearby Santa Rosa (Santa Rosa lodging info) or you can extend your safari experience by spending the night in one of Safari West’s 30 luxury tents. These tents were imported from Africa and sit on wooden platforms with decks and include a regular bed and private bathrooms. 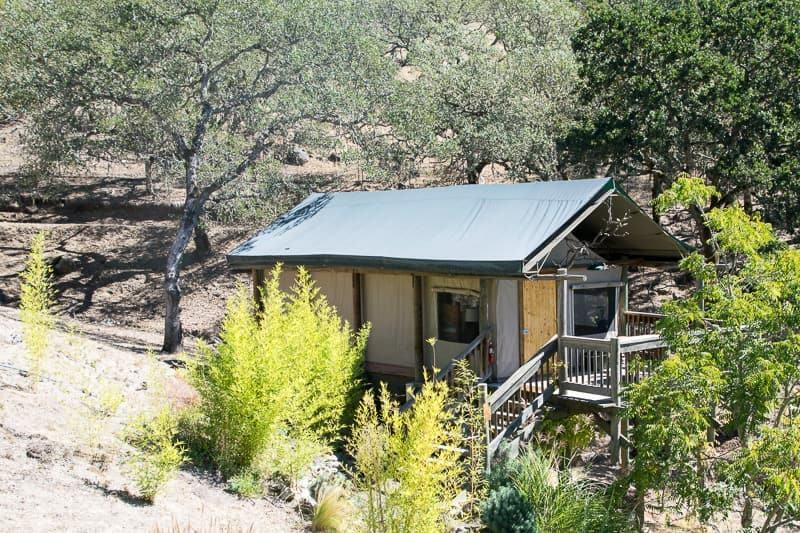 Tent cabins are set up with a King bed, Double bed, or Family style with bunks and futons available for children. Rates are based on double occupancy and are seasonal and range from $200 to $335 depending on season and location. There is also a cottage available for up to 6 guests. Each additional guest is $25 plus tax. A continental breakfast is included for those staying overnight. If you book lodging at Safari West, tour prices are slightly reduced for both adults and children. 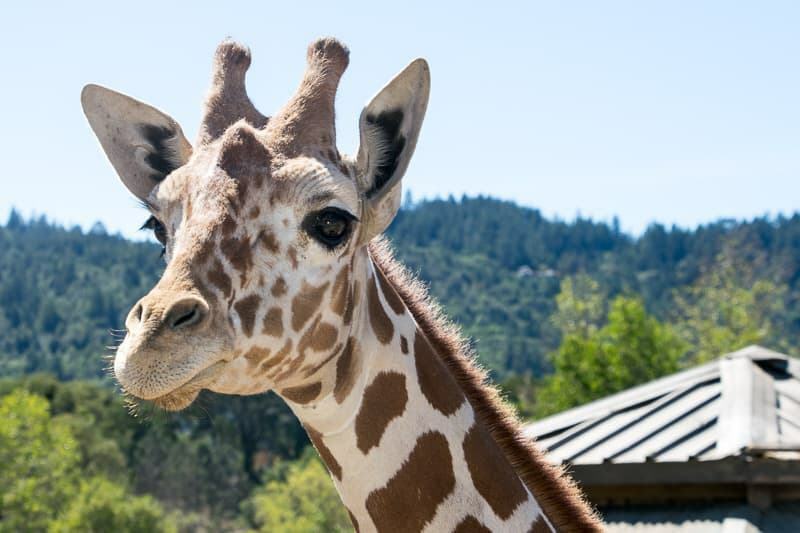 Need more Information about Safari West or Sonoma County? 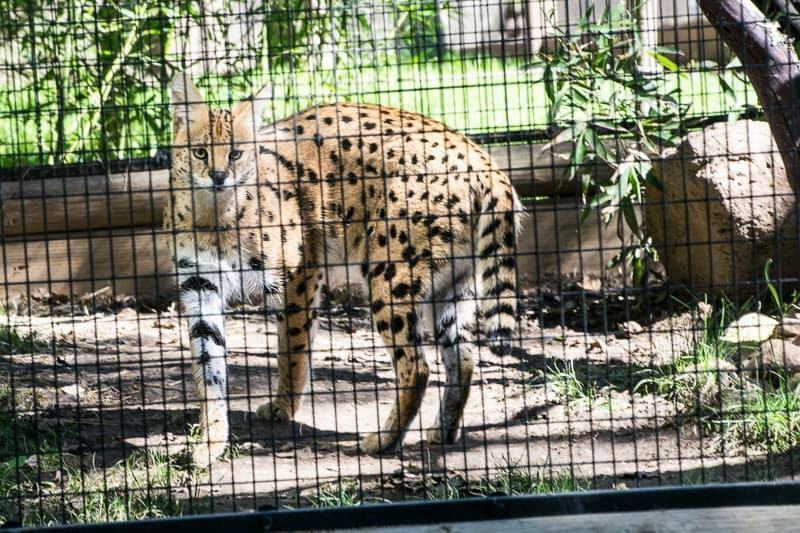 If you have further questions about the Safari West Wildlife Preserve and African Tent Camp, you can visit the Safari West website. You can also call them or email them: info@safariwest.com (general inquiries) or reservations@safariwest.com (reservation inquiries). 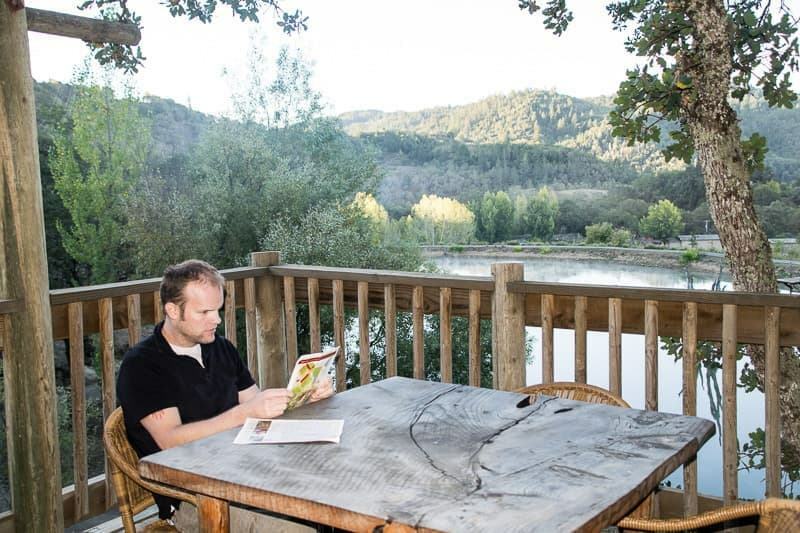 You can also find more information about planning your stay in Santa Rosa through the Santa Rosa Convention & Visitors Bureau and the larger Sonoma area through the Sonoma County Tourism bureau. We drove up to Safari West on a weekday afternoon from our home in the San Francisco Bay area to be on time for an afternoon classic safari tour. Ethan was driving but didn’t know where we were heading as the booking was a birthday surprise. Safari West is located near a lot of vineyards and farms, so once we got near Santa Rosa, Ethan was convinced we were going wine tasting and to stay in some sort of bed-and-breakfast. When we pulled up at Safari West, he was really surprised that it was a wildlife preserve. He was even more shocked once he learned about how large the property was and that we were actually going to go out on a drive and stay overnight as his first impression was that it was a petting zoo. I was quite delighted to see a large cage of Traveta weavers near the entrance to the main office. These East African birds are notable for their golden color, loud noises, and intricately weaved nests and I kept missing the opportunities to see these birds and their nests while in Africa. If you’ve been following the blog, you know that Ethan and I were in East Africa for almost a month this summer, with most of that time spent in Tanzania. It was pretty amazing to have missed these little birds in Tanzania, but we got the chance to see them up close in California! A good start to our stay. Most visitors take the Classic Safari group tour, which is what we took and it includes a walking portion and then a longer open-air drive part. The total time of the tour is 2.5 to 3 hours. We met our guide and were part of a group of about 10 people. The guide was very amiable and provided information on the primary animals and also about some of the staff’s caretaking duties as well as some of the conservation efforts. Some of the highlights were the cats (cheetah, serval, and caracal), the primates (especially as there was one very rambunctious baby Patas monkey bouncing around), the lumbering porcupine, and the bird aviary. It was interesting to see black-and-white colobus monkeys here as we had seen them high up in the treetops at the very beginning of our Mt. Kilimanjaro trek in Tanzania. 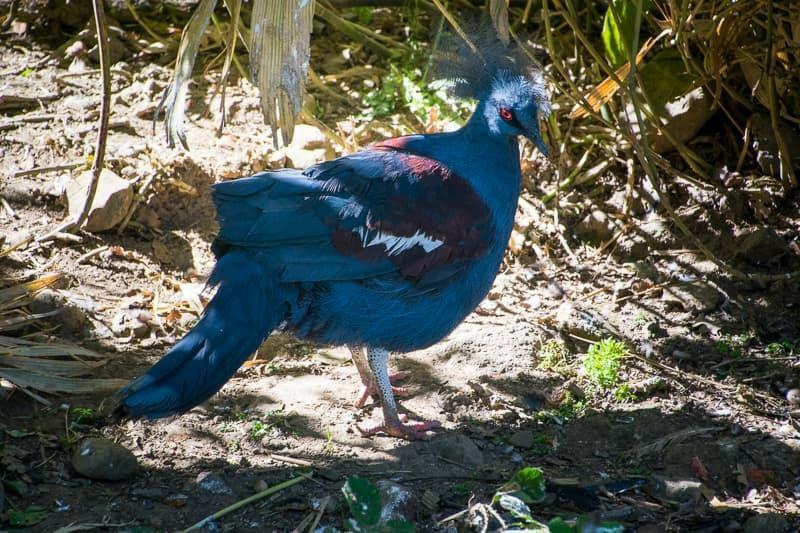 You’ll see a lot of different bird species, some are just roaming freely like the guinea fowl, cranes, swans, ducks, and flamingoes and some are in the aviary and other enclosures. Within the aviary, we were greeted by a very social demoiselle crane who apparently often acts as a guide to groups entering her aviary. 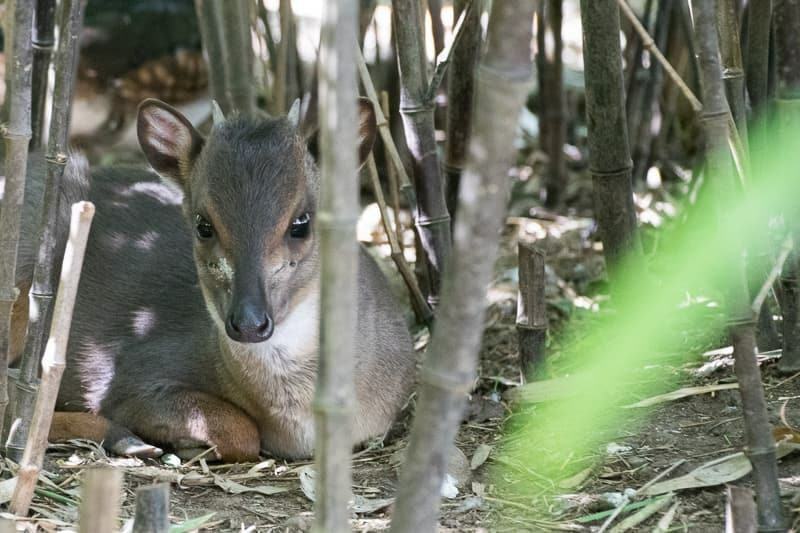 While in the aviary, be sure to also look for other non-feathered critters such as the tortoises and blue duikers (cute little deer-like animals). We did not go past the lemurs or some of the other birds closer to the entrance during the walking tour, so be sure to go check them out before or after your tour. The lemurs are very fun to watch. After the walking tour, we took a 10-minute break and then got into a waiting safari jeep vehicle. Most of the other members of our group were older and no one else wanted to climb into the upper level seat so Ethan and I got to spend the entire ride here. Sitting on the top is obviously a better viewing spot, especially for the giraffes, but it is bumpier up here. Normally the driver will stop and have people switch spots during the tour so everyone can sit on the top if they wish. The first stops were to see some of the antelopes and the crowd-pleasing giraffes. The giraffes tend to be very curious and you’re likely to get very close, which made Ethan happy as these are his favorite animals. 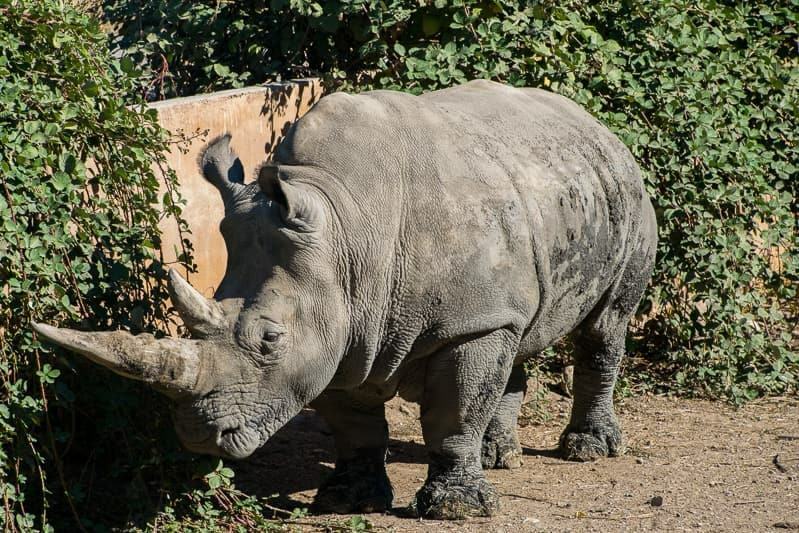 My favorite stop was to see the southern white rhinos as we had not gotten an opportunity to see a rhino up close on our trip to Africa (the black rhino found in eastern and central Africa are sadly critically endangered) and it was great to see these amazing prehistoric-animals. I was pleased the guide took a few minutes to explain the plight of all rhinos in Africa due to poaching for their horns. We covered a lot of ground, stopping whenever we saw some new animals, with some of the remaining highlights including the zebra, cape buffalo, kudu, sables, and wildebeest. Our guide/driver was very willing to answer questions from us and the other guests and it was interesting to see some of the same animals we had seen on safari in Africa as well as getting to see some new species. It was not exactly like our safari experience in Africa, but it was a good experience and definitely gives visitors a taste of what it would be like to be on safari in Africa. Ready for some safari time! 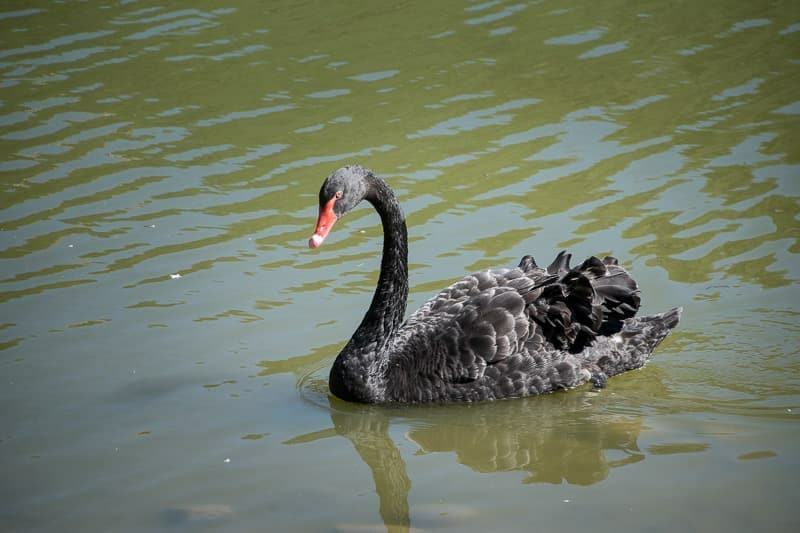 So while you will see the smaller animals on the first part of the walking tour with the guide, the great part is that if you book a tour you can also return to see the animals after your tour at your own pace. This includes the cheetahs, monkeys, lemurs, porcupines, birds, etc. One of my favorite animal experiences was getting a cup of tea and taking a quiet walk after dinner along the path and watching the animals. Many of the animals were busy playing, feeding, and jumping around their enclosure now that the heat and crowds had gone. We had the path mainly to ourselves and it was really magical to walk around and hear the animals at night. One benefit of spending the night is being able to have more time with the smaller animals. We also walked around a bit in the morning after breakfast and this is also a great time to see the animals being active with few people around. 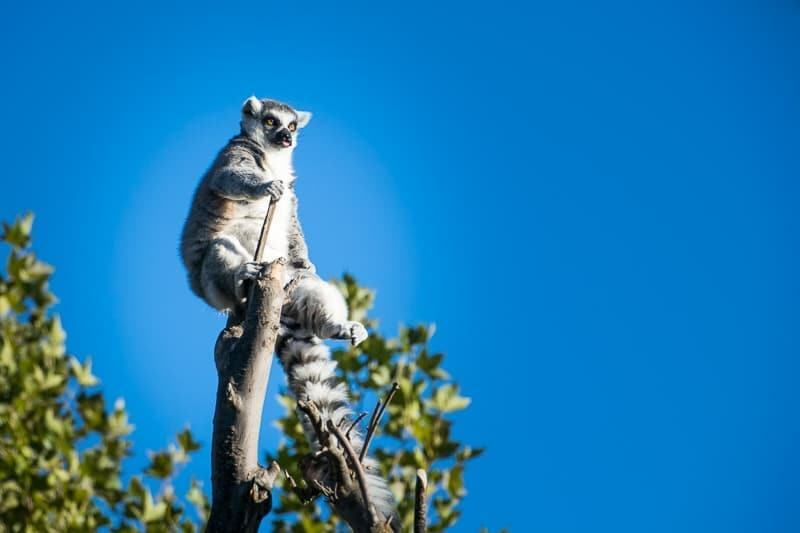 This ring-tailed lemur gets up high! During our visit, we had both dinner and the complimentary breakfast at the Savannah Café. The first part of the dinner was self-service hot and cold appetizers which included chicken wings, tomatoes and cheese, fruit, and olives which was served inside the Savannah Café. This gave guests some time to mingle while the staff was setting up the dinner buffet outside and grilling the meats over the fire pit. Several of the guests purchased local Napa or Sonoma wines that are available by the glass or bottle along with South African wines, port, and beer. 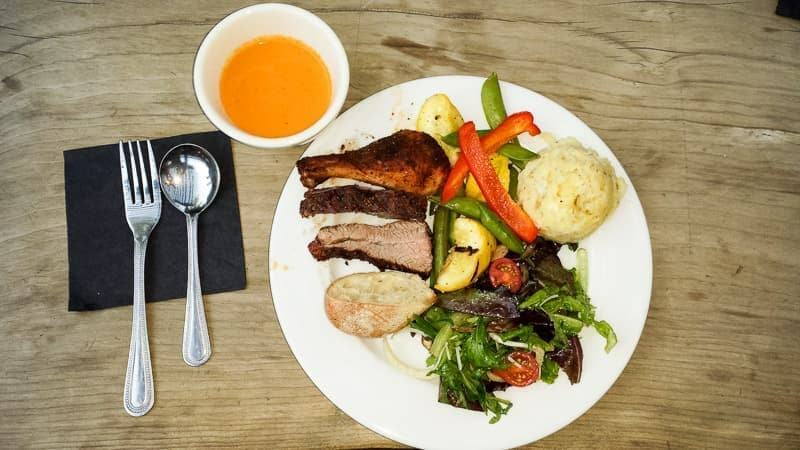 The main part of the meal was served buffet style outside with soup, your choice of grilled meat, grilled vegetables, beans, and mashed potatoes. All the food was good and hearty, but it is pretty casual grilled food so if you are looking for more gourmet dining, I would eat elsewhere in Sonoma. We were also given dessert after our meals, which happened to be cake which was a perfect treat to celebrate Ethan’s birthday! 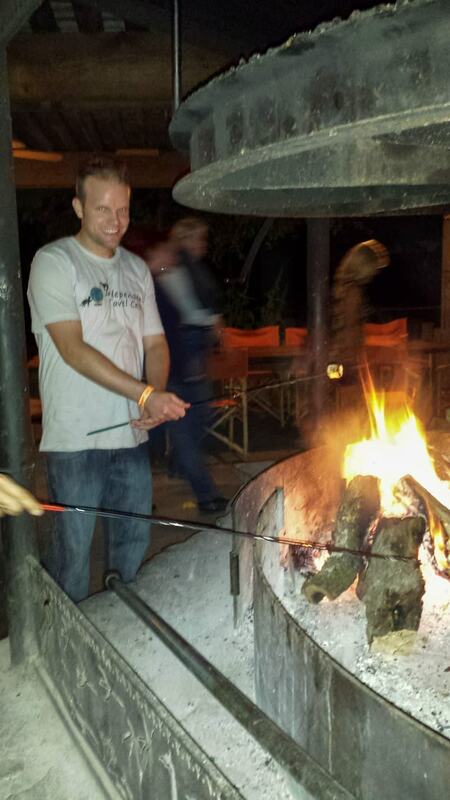 But perhaps the best part was that later in the evening the staff brought out marshmallows that could be roasted over the fire pit! I love toasted marshmallows so I ate these until I started to feel a little sick. The next morning, the breakfast was a self-service continental buffet that contained the regular staples of pastries, breads, fruit, cereals, and drinks (coffee, tea, cocoa). We stayed in a Hillside King tent overlooking the lake. The luxury tents have walls made of pale green canvas and are built on high wooden platforms with wooden decks attached. When we walked inside the tent, we could see we would not be roughing it like in regular camping but this was clearly glamping. Our tent had a plush king-sized bed, polished wood floor, lamps, desk and chair, floor heater, and several decorations from Africa. The bathroom had a flush toilet, hot shower, toiletries, and gleaming copper sinks. The wooden deck was spacious with a table and chairs that overlooked the lake and a cooler to store drinks and snacks. We were very comfortable here and slept well; it did remind of some of the luxury tents we had stayed in while on safari in Africa. Note that the tents do not have wireless Internet and many people do not have cellular phone service in parts of Safari West, depending on your carrier. A good reason to plan to take a technological break for a day. Please also keep in mind that Safari West is a wildlife preserve and like in African camps, you can hear the animals at night. We barely heard the animals from our particular tent, but the tents close to the flamingos and cranes can get a lot of noise from the birds. I never knew flamingoes were so loud, but the flamingos and the cranes were pretty vocal at night during our stay so you might want to be closer or further away from these critters depending on your sleeping preferences. If you can sleep with a bit of noise, it can be a unique experience to fall asleep to the sounds of birds, monkeys, antelopes, and other wildlife. 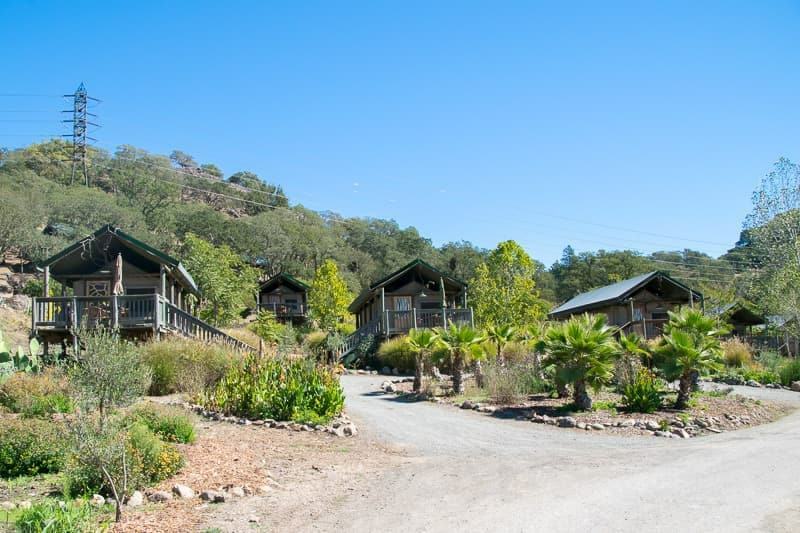 We thoroughly enjoyed our visit to Safari West and it made for a great overnight stay from the San Francisco Bay area. I think that staying overnight made the visit particularly memorable as we got to spend a lot more time wandering around and seeing and hearing the animals. Having the opportunity to see the animals early in the morning and late at night was really great. 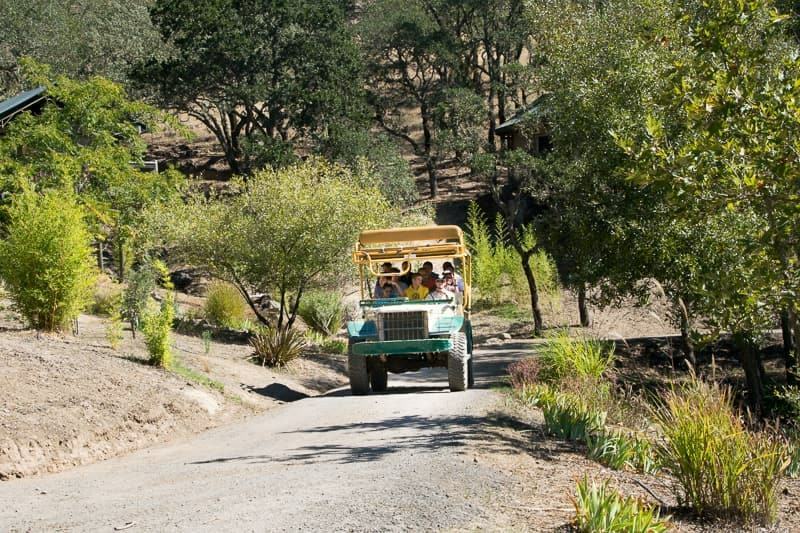 I think a visit to Safari West would make a nice break in a Sonoma wine tasting trip, especially for families. A safari tour here allows visitors to get a taste of what it would be like to take an African safari, or in our case it was a great way to relive some of the great memories of our trip to East Africa. 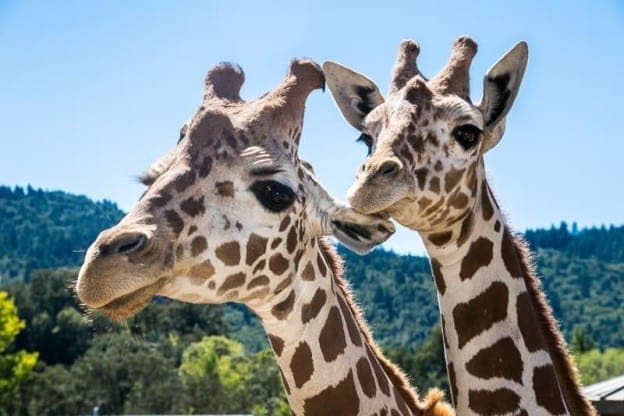 We experienced great service throughout our stay, and would definitely recommend Safari West for visitors wanting to get a little wild while visiting Sonoma Wine Country! Would you visit Safari West if you were in the area? 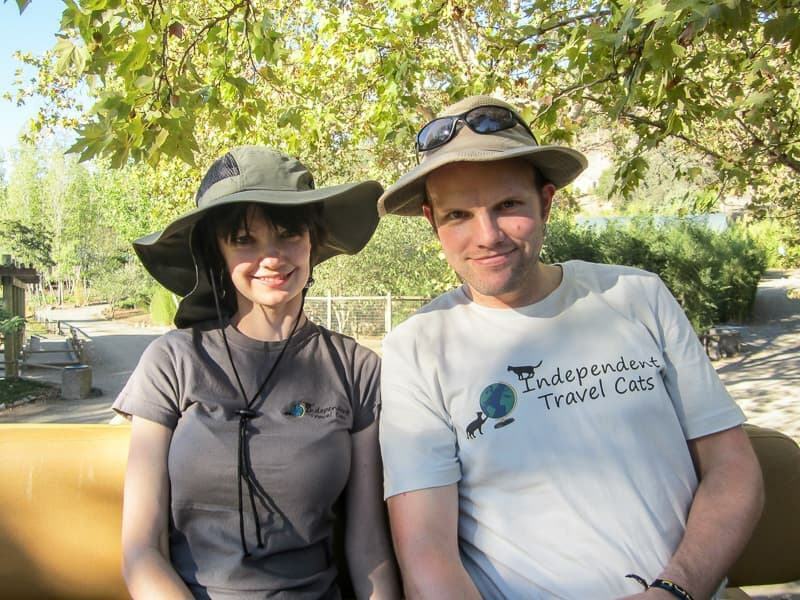 Have questions for us about our time at Safari West, or comments from your own visit? As always we welcome any comments or questions! I am attempting to make a wall quilt. I wanted to use one of my images from my trip to Safari West. However, I have lost all of my photos. Would you mind if I used one of your giraffe photos? We are planning to book a safari and overnight in June for my son’s birthday because he is a huge animal lover. Is there a tour time you would recommend to see the most animal activity? Any recommendations of which area to stay in…we have our choice of hillside or base camp? We are looking for the area where we can see the most animals from our tent. Thanks!! Those flamingoes were surprisingly chatty when we arrived first thing in the morning! Thank you for sharing. I live just over in Sacramento and have been hearing a lot about Safari West and have been curious if the overnight stay is worth a trip. Sounds like you had a great time. I’m curious, have you been down to the San Diego Wild Animal park, does it compare? That is my judge for any wildlife trip. Hi Megan, I have not been to the San Diego Safari Park but it does look similar to the African portion of that park as it specializes in African species primarily. It also does not have some of species that San Diego does, such as the lions and elephants. So I think if you have been to that park, this one would probably not be worth the trip up north unless you were in the area. 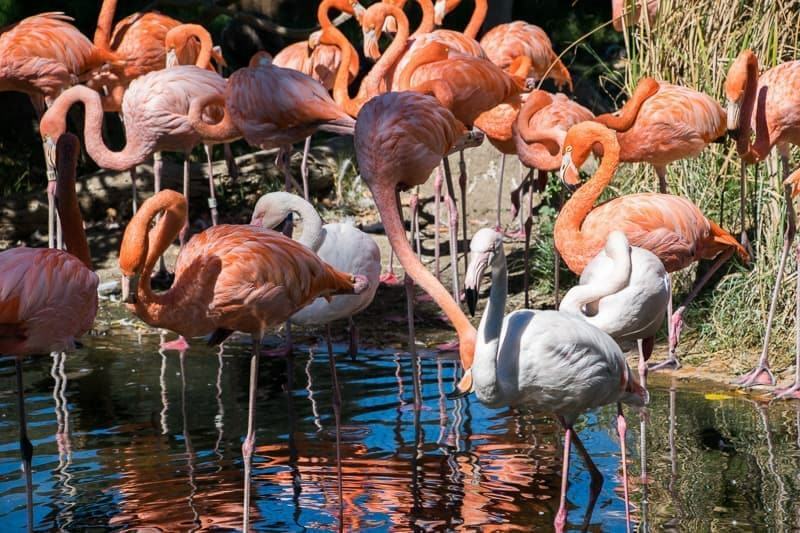 It is amazing that California has more than one of these safari type parks! Wow what a great find! It seems especially rare to find a wildlife preserve of this size in the U.S., but especially with such variety and amenities. I think staying overnight would be particularly fun! Hi Meredith, yes, I think staying overnight definitely enhanced our experience here! I would definitely visit this place. I need to remember this post because I’d love to do another wine country trip. 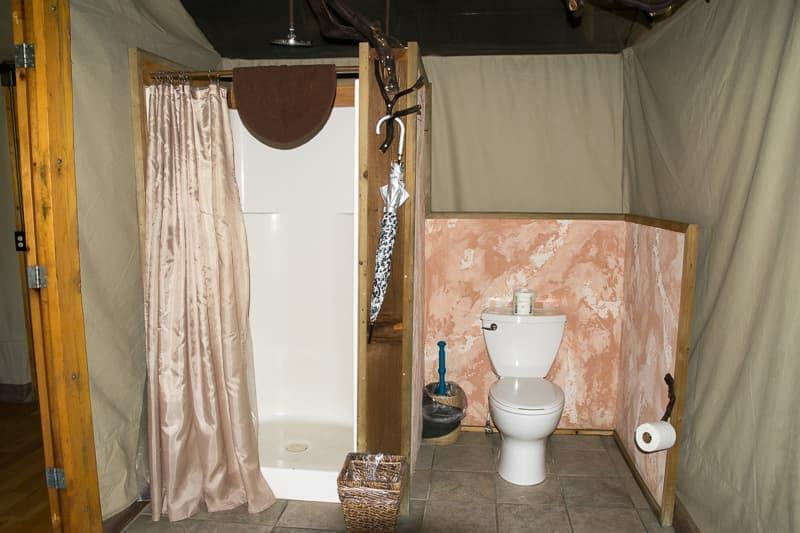 I’ve never been to Africa, and since I”m not terribly adventuresome, I think this might be just the right amount of “roughing it” for me:) I had no idea this existed!! 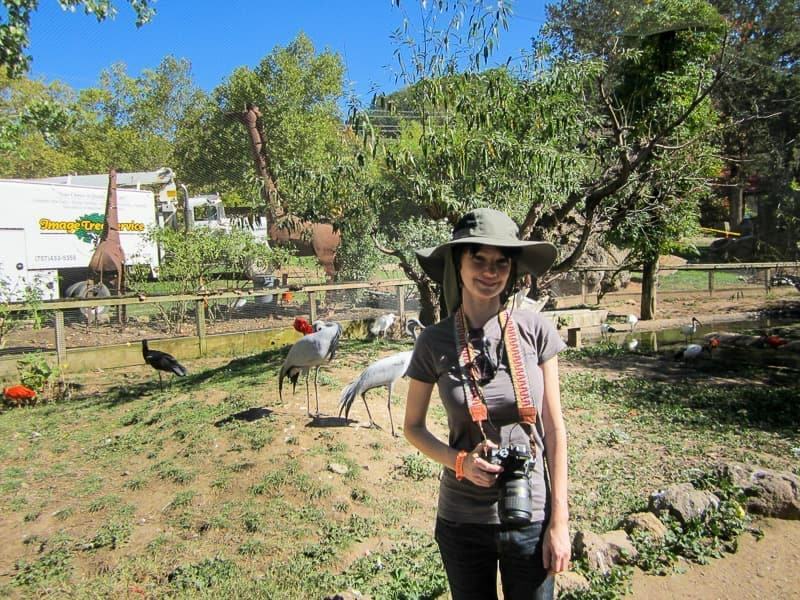 Yes, I think a place like Safari West is great for those who would love to experience an African safari closer to home. It is amazing how many people keep saying how they never heard about this place in Sonoma County even though they’ve been or lived there! Thanks Eden! Yes, we are lucky to have so many attractions that keep up so busy exploring!